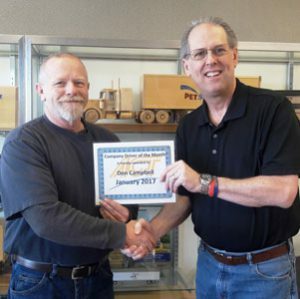 For January 2017 the company Driver of the Month is Don Campbell. Don says “my goal each day is to give the best to my work. I would like to thank my DSM Kathy Plante, and everyone at ACT that works to keep the drivers moving”.